My business, The Care Navigator, where I solved caregiving problems for families and served as guardian, power of attorney, and care manager blessed me in the second decade of my caregiving career from 2007 to 2018. Wonderful staff supported me in this endeavor to serve our caregiving clients and families. The clients, and their individual backgrounds, added so much to my life. The life lessons learned from these older adults are with me today along with sweet memories. During this time, two other milestones were accomplished, an unexpected opportunity to produce and host a radio program and a plan of publishing a book. 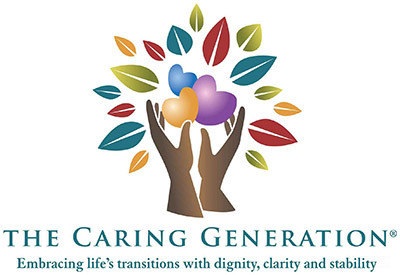 During these years, from 2009-2011 I produced and hosted The Caring Generation® radio program airing on 630 KHOW-AM in Denver on Sunday mornings. The guests who offered their time and expertise for the program were amazing. The listeners who called with questions confirmed the need for solutions to caregiving problems. You can still listen to the interviews on this website in podcast form. The listeners of the radio program re-ignited the fire for me to finally finish the book I had been writing for the previous 10 years. After the repeat questions about when I would write the book, I finally committed and finished the book after ten re-writes, negotiations about type size, and debates over the name. My book The Caregiving Trap: Solutions for Life’s Unexpected Changes®, was born in 2016. How time flies! Pamela D. Wilson – In Home and Family Services, Inc. 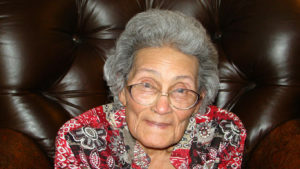 Prior to owning and operating, The Care Navigator, from 1999-2007, I owned and operated, In Home and Family Services, a company that provided in home caregivers for older adults and care management services. Through this experience I learned first hand about the day to day stresses of family caregivers who worked and cared for loved ones. We helped adult children caring for aging parents and spouses caring for spouses, many diagnosed with Alzheimer’s disease and dementia. The clients of In Home and Family Services who entrusted their care to us, wanted more help. While they wanted in-home caregivers, the caregiving path kept leading forward to other needs as the health of loved ones changed. The next steps of looking at adult day programs, assisted living, skilled nursing facilities, memory care, powers of attorney, and end of life care followed. Clients were hesitant to find someone else to help when they felt I had the expertise that was needed. Clients wanted help finding the perfect assisted living community. Concerned about the care of loved ones living in skilled nursing communities, family caregivers wanted an advocate. Clients who needed 24-hour in-home caregivers asked me to supervise the care. Clients asked for assistance completing and submitting Medicaid applications. We worked with the Veterans Administration to complete and submit Aid and Attendance applications. Medical power of attorney and guardianship questions were asked. The needs of the caregiving families grew and grew. One thing led to another, and the next door opened for me to create The Care Navigator. In July of 2018 I took another path, changing directions in response to requests to support caregivers with education and support on a national basis. The clients of The Care Navigator were transferred to a company offering similar services in the Denver area. If you’ve been looking for me at The Care Navigator I’m no longer there. I’m here fulfilling a new mission. The need for expert caregiving advice is great. Caregivers have no idea what to expect on the caregiving path. Family caregivers are dedicated to care for aging parents, spouses, and other family members not realizing the costs to physical and emotional health and financial well-being. Statistics conform that caregivers pay a high price emotionally, physically, and financially for the years spent caregiving. Caregivers become more ill than for the person for whom they provided care. When time comes to care for the caregiver, healthcare needs may be significant and retirement resources may not be available not support the skyrocketing costs of care. Women caregivers pay the greatest cost for their years of dedication.Many end their lives in nursing homes on Medicaid. Caregivers are emotionally exhausted, drowning from the stress and anxiety of caregiving. Many caregivers have little family support and take the path on their own. Others have family members that use scorched earth tactics that divide families. These relationships are never repaired. Because of the last 20 years of caregiving advocacy and my years of personal experience with the loss of family member I’ve experienced all of the twists and turns on the caregiving path. Working with the healthcare system is challenging. 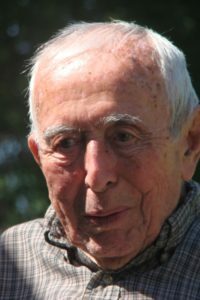 Bias exists against care for aging parents and spouses. Caregivers with loved ones diagnosed with dementia have an even more challenging path. Advocacy is necessary. The caregiving path, rather than becoming easier, requires greater advocacy skills to ensure that loved ones receive good care. In my role as court appointed guardian and medical power of attorney, I clashed with the healthcare system, insurance companies, hospitals, nursing homes, care communities, and in-home care agencies. My goal was the best interest of my client and advocating better than average care. Amazing situations occurred that included medical and medication errors, refusals to provide treatment, hospitals dumping clients without providing care, caregivers and care communities crossing professional boundaries that resulted in legal actions, family members interfering in care—these are situations that cannot be imagined until they occur. Caregiving responsibilities are unending. Family caregivers are hypersensitive to the ringing phone and the potential for unexpected emergencies. This was the life I lived for 20 years in being responsible for the care of clients in both of my companies. Being responsible for the care of an older adults is never-ending—until the last breath. Solutions and support are here. Click HERE for more information on How I Help Caregivers (this will link to the new page copy that you can put up. And above all, get help now. Don’t wait. You don’t have to do it all yourself. 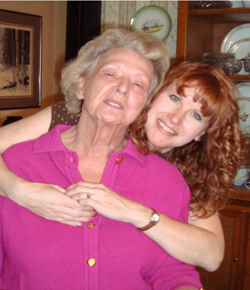 The role of caregiving does not have to overwhelm your life. I know what you’re going through and I can help you move forward in confidence from one challenge to the next. The aging parent or spouse for whom you provide care depends on you. Real support and real answers are here.